For those of us who like to play around or build things with electronics, the tariffs the US government is about to put into place on Chinese goods will have a direct effect.This will be bad for the Maker movement. Components like LEDs, resistors, capacitors, and PCBs will have an additional 25% tariff added. Yikes! 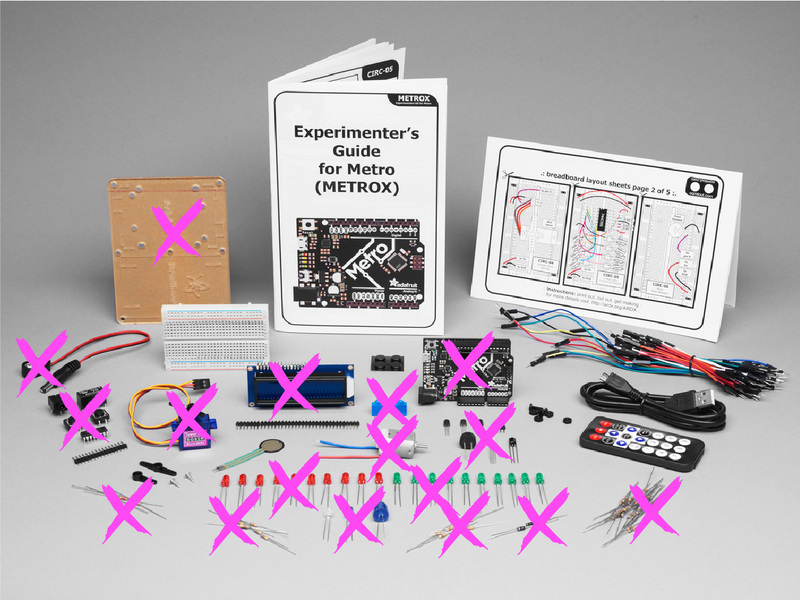 The Adafruit MetroX Classic Kit is representative of a typical electronics education kit. Items marked with an “X” in the above image are potentially impacted by the new USTR tariffs. This entry was posted in Uncategorized by ViennaMike. Bookmark the permalink.